"Finding that these two species associate was not surprising, as mixed species flocks of birds are observed all over the world," said Allison Johnson, Ph.D., a postdoctoral scholar at the University of Nebraska who conducted the study as part of her dissertation research at UChicago. "But when we realized they were sharing territories with specific individuals and responding aggressively only to unknown individuals, we knew this was really unique. It completely changed our research and we knew we had to investigate it." 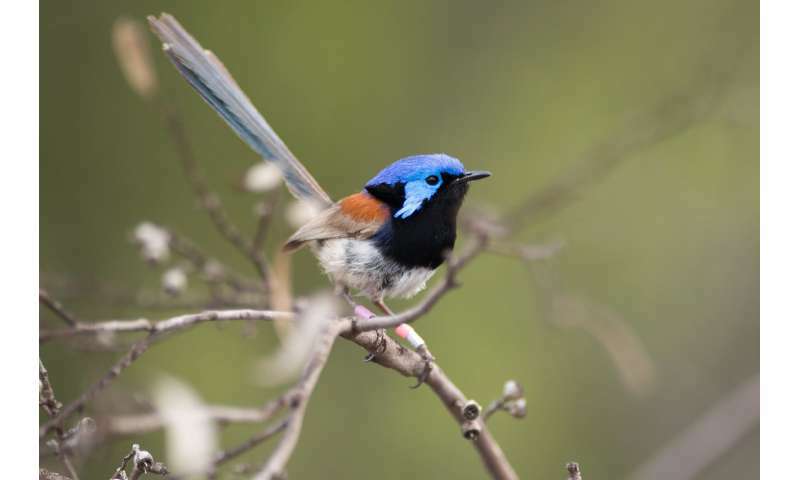 "Splendid and variegated fairy-wrens are so similar in their habitat preferences and behavior, we would expect them to act as competitors. Instead, we've found stable, positive relationships between individuals of the two species," said Christina Masco, Ph.D., a graduate student at UChicago and a co-author on the new paper. 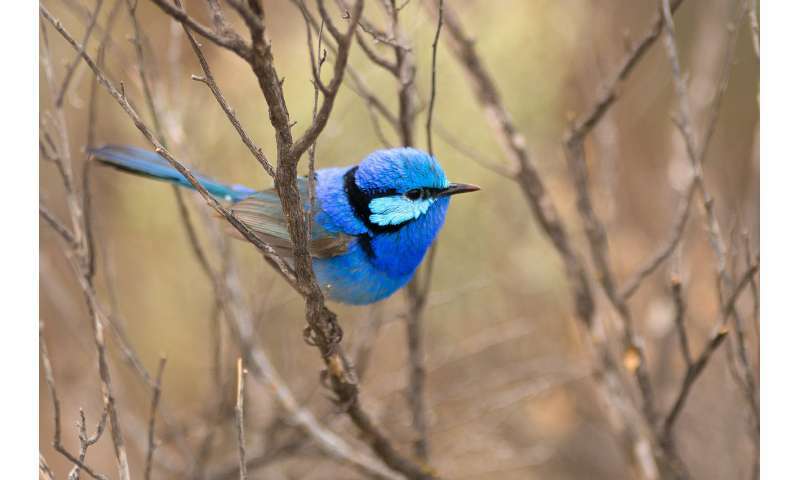 From 2012-2015, Johnson, Masco, and their former advisor, Stephen Pruett-Jones, Ph.D., associate professor of ecology and evolution at UChicago, studied these species at Brookfield Conservation Park in South Australia. The first unusual observation Johnson made was that when playing a recorded vocalization of one species, the other species would respond and fly in to investigate what was going on.